Doula Doula Services What is a doula? Maisie Jane arrived on 16th Nov by emergency section in the end but felt like a gb for me. It really was such a lovely experience even though it was not what I had imagined. GentleBirth made me happy to accept the birth we had. I held them off until 40 + 6 to induce me (I had high bp at this stage). 12 hours of surging last 5 at full drip! And only reached 2 half centementeres so no choice but to section. All the midwives loved my GentleBirth mood board, Tea Lights and I had the app on all through the surges - it was a life saver!! 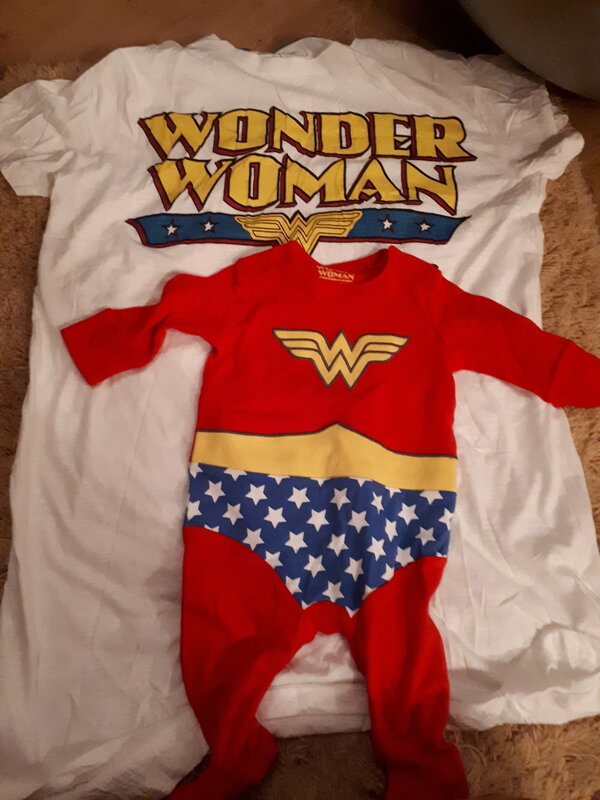 I had my Super Woman T-Shirt on and baby's SuperWoman babygro in the cot waiting for her, essential oils on the go and stayed on the ball n all fours on the floor!!! Even got a side lying release which was fab as they saw it in my birth wishes! We are breast feeding no problems loving our precious baby more everyday. Here are some more pics of our fun GB birth. Thought you would appreciate my oxytocin necklace, I wore it from 37 wks on. 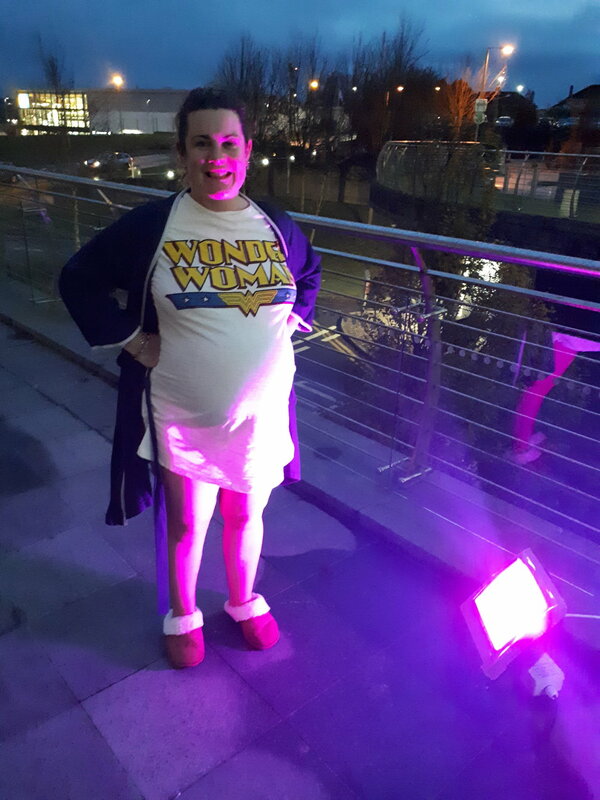 I was having early contractions in that picture and it felt great to be outside - I didn't care about my short nightie or other people, I was in my own bubble and excited about the experience and I truly believe it was all the GentleBirth tracks I listened to. 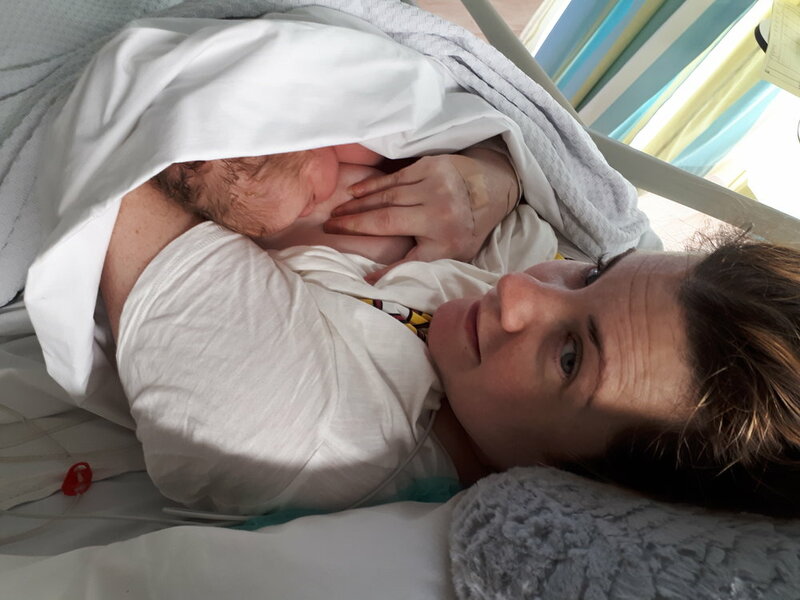 Skin to skin after section took 20 mins even though I had asked for it as she came out but they didn't seem to want to go with it which was disappointing but I didn't leave it get me down..but next time I will insist!! Mary Tighe (BirthingMamas) offers products and services for couples during pregnancy, birth and parenting: includes GentleBirth workshops (antenatal classes); Doula Services, essencia Aromatherapy and plenty of information & support for parents. Sign up to receive news, updates & special offers - exclusive to subscribers.